We were welcome by the owner and friendly staff and tried out everything they recommended. Place's decor and food sets it miles ahead of anything else on offer in town. It helped that the barman was eye candy too and friendly. Compliments to the chef was delivered to him in person.. Wish we discovered the place earlier. Highly recommended. Hey Everyone! Koki Beach is a restaurant pretty much in the center of Puerto Viejo Costa Rica, which is located on the Caribbean side of the country. Koki Beach is one of those COOL restaurants you just want to hang out in. Great place for conversation, drinks and of course a good meal. Since Puerto Viejo has a huge Jamaican influence, many of the restaurants are pretty much the same as all the others. NOT so at Koki Beach, they don't even play reggae. Anyway, Check OUT the video to see a little more of Koki Beach. 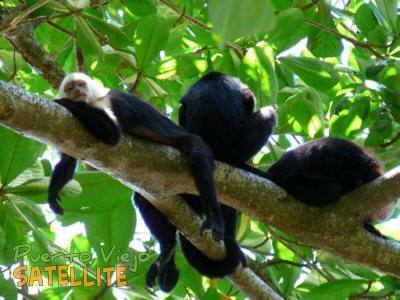 I didn't know what to expect when I arrived in Costa Rica much less Puerto Viejo, Limon. This was my first time in this country and I was determine to have a great time and meet wonderful people, that is just want happened at KOKi Beach. I had an experience that I will never forget. I spend what turned into nine hours of FUN and good times at KOKi Beach on Saturday night and have five words to describe this place…unique, energized, quality, friendly, and FUN! If you’re looking for service unlike any other in Costa Rica then KOKi Beach is the place to be, but there is more, the food is amazing and the owners are on hand making your visit a most memorable one. I met wonderful people from all over the world and had great conversations getting to know them; this was brought on by the environment that owners create there from the staff to the bright colors and the open air design. I recommend the Yucca chips with guacamole, Grilled Lobster, and the Playa Grande stew but I guarantee you that no matter what you order you will not be disappointed in the quality or presentation of every dish. KOKi Beach has a full menu/bar and what I would call a welcoming and more than comfortable vibe, making your visit a most pleasurable one. I highly recommend KOKi Beach for dinner and drinks, but be forewarned you may just leave with a handful of friends more then when you arrived. p.s. I’m not sure what “cwgenest” is talking about, I’m from Las Vegas...and trust me we have GREAT establishments there and KOKi Beach would fit right in. Maybe, just maybe, cwgenest is mistaking this “place next door” with KOKi Beach…btw the “place next door” went out of business, so I’m sure he was. Best place in town ! It's hard to miss Koki Beach when you drive through the Town of Puerto Viejo as with its appearance on the local scene it definitely beautified the town! I remember PV from before this place opened their doors for business and have to say that Koki Beach upgraded the quality of dining and entertainment in this town. The place has a very thoughtful, eco-friendly design with a touch of modernism. Righ-on with the current trends in eco-friendly tourist towns. Very personable owners and staff make the experience of dining great. Their menu has something for everyone and all dishes I had there were excellent. Oh, yeah, since I live in San Jose and come down to PV quite often, I have become a regular. It wouldn't be Puerto Viejo anymore without Koki Beach! I was just having some drinks at Koki Beach and their resident sloths decided to go through a walk through the restaurant. Great concept, best location and fantastic people watching. Built from recycled materials from an old farm house its by far the best ambiance in town. Loved it and went everyday to enjoy the exceptional food, friendly service and personable owner, KOKi. Almost every evening you will see the family of sloths perusing in the trees right in the middle of the restaurant. We were a group of 16 guys traveling together and being a big group we were hard to accommodate in many restaurants but not at this place. We were promptly seated and the feast began. They treated us to complimentary appetizers and a round of drinks while we waited for our food which we thought was an exceptionally nice welcoming touch. They told us there might be a little wait due to the size of our group and that everything is made fresh to order. Actually, surprisingly, the wait felt less then most other restaurants we visited. The staff was very accommodating and fun, music was great and prices were good. We tried tons of different stuff on the menu and many drinks might we add. We all concurred that this was undoubtedly our best restaurant experience during our trip and would have gone back hadn't it been our last night. Check it out - you wont regret it. I feel compelled to write to counter the previous two comments. The food was average ( and cold), the atmosphere pretentious, the service non-existent and the price astronomical. I had a miserable experience. Everything was cold, the wait was interminable and the final insult was being brought a new glass with a new straw every time I asked for a refill of water. Given that plastic is disposed of by burning out here and water precious, this is just the wrong message to send and a poor reason to justify the ridiculous prices. Boycott this place and have a better cheaper meal next door. what a gem ! This super busy place really stands out in town. The food was great and so was the service so we didn't mind the little wait. Try the fried yuca, guacamole and langosta. The food in Puerto Viejo, in general, was a big surprise. I was resigned to live on rice and beans the 4 days I was there - - but nothing could have been farther from the truth. This place was certainly my favorite - so much so that I ate there BOTH nights I was in town. For a person who prides herself on always trying something new - - this is a high honor for Koki Beach. Let me say, also - - that the price for my meal was incredibly INEXPENSIVE by American standards; so the rating on this as expensive is relative to Puerto Viejo. Certainly cheaper places to go for a meal - - but I doubt you could find one of better quality or with a better atmosphere. I had the filet salad one night and the ceviche the second. On the second night a baby sloth (yes, that is right) climbed right out of the deck and up the tree directly behind my chair. How is that for an authentic Costa Rican dining experience?